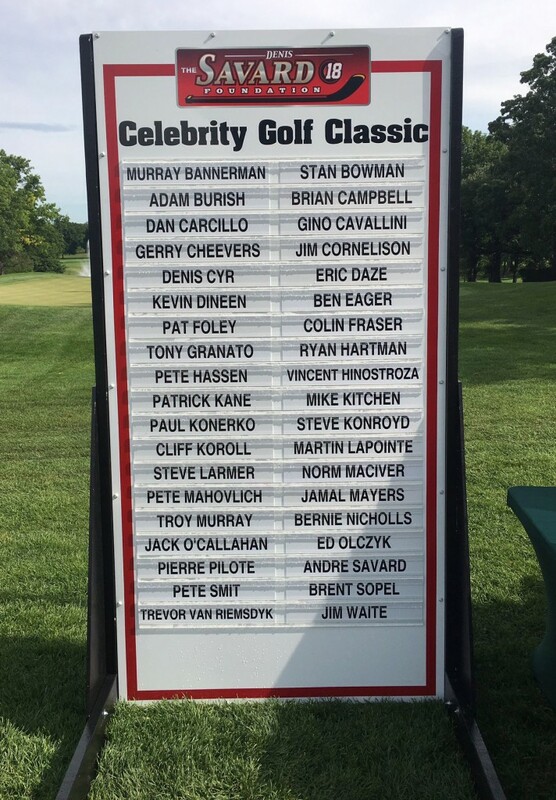 Current and former Chicago Blackhawk & NHL superstars were out in full force to support The Denis Savard Foundation’s 7th Annual Celebrity Golf Classic. The Golf Classic took place July 18th at the Edgewood Valley Country Club in La Grange, IL. Blackhawks Head Coach Joel Quenneville was the 2016 Honoree of the classic. Lucky attendees scored a signed vintage Hartford Whalers Coach Q jersey. Below are a few sights and sounds of the event. Thank you to all who made the Celebrity Golf Classic a success!